The new Session now shoots 4K video too. It's no secret that GoPro had a new flagship action camera in the works, but you never know how rumors may pan out. Today, the company officially announced the Hero5 Black, featuring a 2-inch touch display, 12-megapixel photos (including RAW support) and, as leaks suggested, built-in GPS. What's more, GoPro's Hero has voice control (seven languages at launch, more later) and is waterproof without the housing to 33 feet (10 meters). There's also electronic image stabilization, which is a first for the Hero line. Like the previous model, it shoots 4K at up to 30 fps, as well as 1080p at 120 fps max. In addition to the GoPro Hero5, there's also the Hero5 Session. The refined tiny cube cam does 4K recording at 30 fps and 10-megapixel pictures. Similar to the top-of-the-line Hero5, the latest Session is also natively waterproof and offers support for voice commands -- like "GoPro, start recording." Most importantly, both the Hero5 and Hero5 Session are now cloud-connected, meaning they can auto-upload photos and video to an account when the camera is charging. That said, the cloud features do require a paid subscription to GoPro's freshly minted service. With it, you can view, edit and share your media anytime from a computer or a smartphone. This will, without a doubt, open up a whole new world of possibilities to GoPro users. 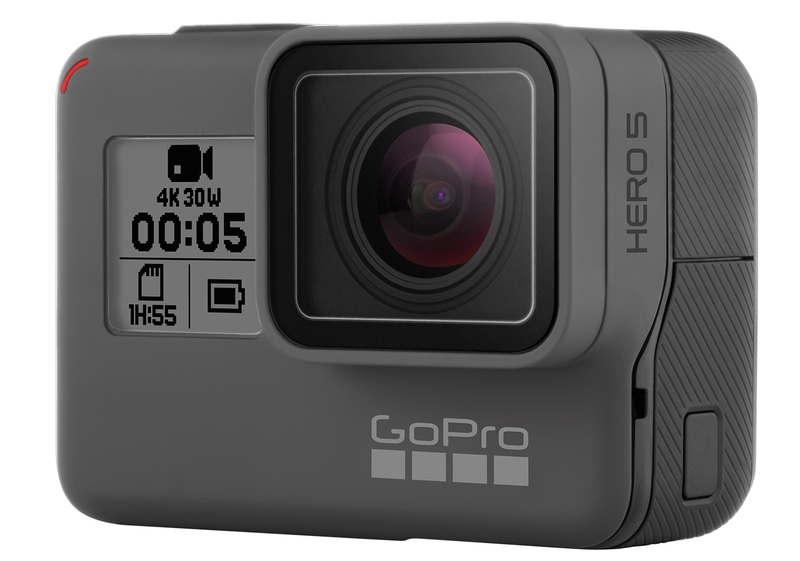 The Hero5 Black is set to hit stores October 2nd for $399/£350, while the Session will be available that same day for $299/£250. As for the GoPro Plus cloud service, the subscription costs $5 per month -- although it'll only be available in the US at launch.